The new Simply Tsfat Live in Concert CD has yet to be named. As Rav Elazar Kenig once told my wife, the name is not given until it is born! The CD is 2 years in the making and a combination of 3 concerts, the Chasam Sofer shul in lower Manhattan, a concert in Baltimore, and one recent concert in Chicago. 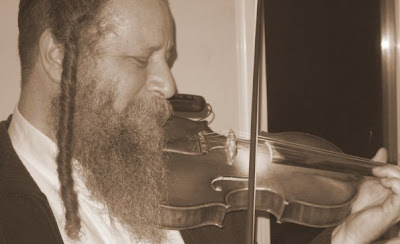 There are 2 new songs which we have never recorded and 2 stories from Rebbe Nachman for your listening pleasure below. Yonatan also has words of chizuk. We have endured a plethora of potholes in publishing this CD (how's that for alliteration?). For example, the laptop which we used to record all the concerts was stolen! Luckily all the concerts were backed up, whew. Then of course the main computer used for mastering and mixing caught no less than 1000 viruses and totally crashed. I think that's when we (at least me personally) almost gave up... Where have I heard never to do that? We are now waiting for the last song to be converted from Protools to Cubase, I just hope it happens in time…. What we learned from this whole process is never to give up, don't get angry (it doesn't help one bit) persevere, to daven to HaShem and just when you run out of patience, to reach down deep into your pockets and pull out some more patience! Thanks for practicing what you preach, and for preaching so sweetly! We bought the live wedding CD this morning in honor of Lag B'Omer. Couldn't think of any better way to enjoy our one day of music than to spend it with our friends from Tsfat! Even this is the first time I listen to this CD I musat admit I'm impacted with its quality. I had a lot of time without lsiten to a hit like this one. Great post. I think one of the basic things that we should know know is that we must always make sure that you are safe in every transactions you wanted to indulge with.